Interviewed by Jenna Samuelson and Erin Michaelski. 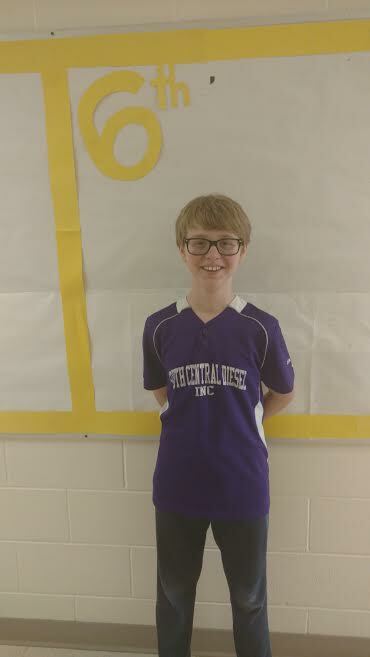 Matthew King has competed in the last two Geography Bees at the state level in Omaha. He competed against 10 other kids at the Holdrege Middle School, grades 5-8, to be eligible to compete at the state level. Did you compete with any of the kids from the year before? Yes, there was a girl named Vivian Applebee. Her mom had a hat in the shape of a bee! Was there a lot of people watching you… did you get nervous? There was one room with two rows of kids so it wasn’t too big, he said he wasn’t nervous. How did you prepare for the Geo Bee? He has a book called how to ace the National Geo bee. It said to eat a good breakfast, and relax. answer the questions…. If so what were they? In the finals, they gave him a piece of paper with a famous person on it, you had to name who she was. Do you get extra competitive during the competition? Probably, not really though. Are there any more competitions coming up… how will you prepare for them? There is the geo bee next year, he’ll study a lot more.